While sometimes controversial, passive house design techniques have become a standard reference point for some small-scale projects. A new publication by Low Carbon Production from New York titled From Small to Extra Large: Passive House Rising to New Heights expands that scope by presenting 51 new passive projects of a wide range of scales, including high-rise towers. 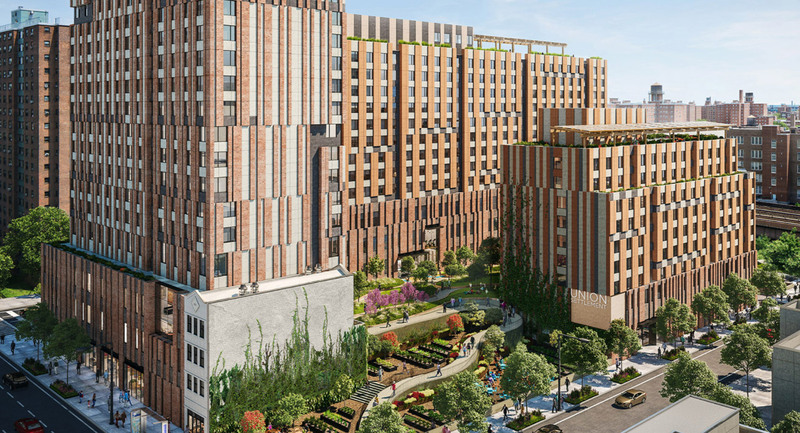 Sendero Verde, a mixed-income development in East Harlem, and The House at Cornell Tech, both designed by Handel Architects, are among the projects published. The Cornell Tech building on Roosevelt Island offers housing for the new academic campus, and the 26-story complex featuring a double height lobby space and ceiling-high windows was once the world’s tallest passive building. The tower made use of specially designed vapor barriers and refrigerant flow systems. Many of the technological solutions are used in Sendero Verde, including a “floor-by-floor” strategy, where each floor has its own condensing unit that is housed in the balconies, creating flexibility in energy use. Sendero Verde incorporates “660 affordable passive house rental units,” community, and retail spaces. A forest cabin, a country farm, and a panelized home by Barry Price Architecture are also featured in the publication. The 1994-founded design firm has developed standards for comfort, durability, and energy efficiency in their buildings. In a Bearsville, New York cabin, Price used prefabricated roof and wall elements, locally sourced exterior cladding and interior flooring to reduce the building’s environmental footprint. Pollution to the rural site was minimized as building elements were manufactured off-site. Three projects by Paul A. Castrucci Architect are described in the publication, including ABC No Rio’s new headquarters in the Lower East Side, which is one of the first passive commercial buildings in the city. The building is included because of its careful attention to air sealing. According to the publication, “the concrete masonry shell was coated with an air sealer on the inside,” and a polyisocyanurate and mineral wool-made secondary air-sealing layer was introduced on the outside. The thermal breaks are essential for reducing energy consumed in regulating the interior temperatures throughout the seasons, according to the passive building philosophy. The report also presents other sustainable buildings by FXCollaborative, Jane Sanders Architect, and CO Adaptive Architecture. Check out this link for the full report.